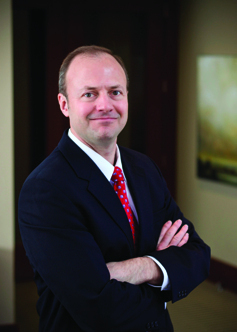 Mr. Andreason is a member of the firm’s Litigation, Trials & Appeals section. His practice emphasizes complex commercial and civil cases in areas such as partnership disputes, complex leasing arrangements, securities, contract breaches and intellectual property disputes. He is also active in Alternative Dispute Resolution, representing clients in both arbitration and mediation. Mr. Andreason has successfully obtained settlements for numerous clients, helping them avoid the cost and time of trial. He is also skilled in the courtroom, having tried cases before judges, juries, arbitrators and administrative panels, ranging from one-day bench trials to a seven-week jury trial. Mr. Andreason’s clients span the full spectrum from single individuals through small businesses to large corporations. Mr. Andreason is recognized as one of Utah’s Legal Elite for business litigation. Past Chair, Litigation Section, Utah State Bar, 2016-2017. Member, Utah Supreme Court Advisory Committee, Small Claims Jury Trials. Member, Utah Supreme Court Advisory Committee on the Utah Rules of Civil Procedure. Obtained dismissal of $1.6 million in claims against national gift company in Federal Court trial. Obtained jury verdict in Federal Court for damages against Kentucky-based owners of 32 fitness facilities. Obtained favorable judgment for homeowners in arbitration dispute against disaster cleanup company. Assisted in defending Big Four accounting firm’s senior technical partner in securities fraud action filed by the SEC in the Southern District of New York. Obtained favorable judgment for client against real property development company for failure to make payments in a land agreement. Obtained judgments in contract actions on behalf of banking and many other clients. Obtained favorable settlements on behalf of numerous companies involved with partnership disputes, mining, real estate, equipment rental, and many more. Former Senior Associate with Howrey LLC’s Global Litigation Group in Salt Lake City, 2003-2007.